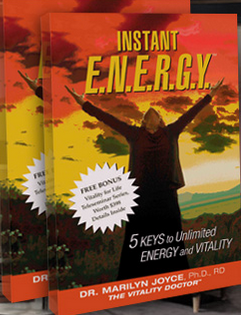 The 5 Keys to Unlimited Energy & Vitality! The absolute A to Z, soup-to-nuts guide to everything you need to know to prevent or overcome a life-threatening illness! This book is full of easy-to-follow charts, a month of menus, and more than 200 healthy, mouth-watering, nutritious, delicious, quick and easy recipes. But wait: there’s much more! You will find one of the most comprehensive Mind-Body-Spirit sections ever compiled in one book, plus a completely updated and expanded resource section. Regardless of your present level of health – or lack of it – you can start today to create real, sustainable and lasting energy, vitality and outstanding health. INSTANT E.N.E.R.G.Y.™ reveals the 5 simple, time-tested keys that have already been used by thousands of people, to transform their lives from life-less to full of life! 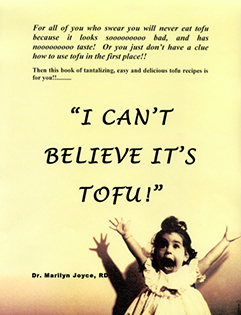 This book takes the “Yuk!” out of tofu. It’s for anyone who can’t get past the look and taste of tofu, or who doesn’t know how to use it but wants to have its health benefits. This is the most complete and easy-to-use tofu guide available. It answers every question you have about what tofu is, how it is made, its numerous health benefits, and how to incorporate it daily into your diet as part of a delicious, nutritious eating plan. What sets this book apart from all the rest is it’s absolute simplicity of use – and no recipe takes more than 1 – 5 minutes to prepare!